I was Diabetic and had Painful Legs, Bones, Joints and Feet. Blood Sugar. Microbiome. Micronutrients. Enzymes. I found and addressed the cause. Despite the generalised treatment guidelines of conventional and alternative medicine, not everyone with type 2 diabetes is the same. There are many causes and contributing factors involved with blood sugar and diabetes. For one person, it may be mostly about their diet, for another, it might be stress-induced, and for someone else, it might be driven by thyroid, liver, pancreas, kidneys, cardiovascular systems, gut health, hormone system or adrenal problems. I discovered this and started a search for answers. I was determined not to suffer the long-term consequence of high blood sugar. I still keep a journal but no longer take my blood ”pricks” three times a day. Let me share some of my findings. Secrets insulin into the blood which helps regulate blood sugar. How did I know if these two functions were working at maximum efficiency? Insulin allows your healthy cells to use glucose (sugar) for energy. People with insulin resistance have unhealthy cells throughout their bodies that don’t use insulin effectively. The cells are the problem – the cells have trouble absorbing glucose, which causes a build-up of sugar in their blood and puts fats around the organs, which you cannot see, but is dangerous. Insulin resistance is also part of the metabolic syndrome, which is associated with a higher risk of developing heart disease, and so the links continue from one system to another in your body causing other diseases. Diabetes is not a disease to “just live with” by taking Glucophase or other allopathic pills to hide the symptoms. We have to find solutions if we wish to live a long pain-free life. Did you know there is an enzyme that burns fat? When blood sugar is low, and you need more energy, but the food isn’t available, glucagon is secreted. Its purpose is the exact opposite of insulin’s purpose. Glucagon goes into the cells and causes fat to be released. And it does so with the help of a fat-burning enzyme called hormone-sensitive lipase (HSL). But insulin can interfere with its function. Here lies the problem. We must Get Down to the Basics. Nobody can tell you what is causing your diabetes – hormone imbalance, thyroid, adrenal dysfunction, gut health, liver, pancreas or the other bodily system problems which are not sticking out like a sore thumb with symptoms. You may, like I was, be encouraged by an alternative health practitioner to look at lifestyle factors such as physical activity, sleep, stress, and diet. Perhaps, like again I was, you are taking generally recognised supplements for diabetes. But none of this put my blood sugar puzzle together for me to understand the root cause, not even, at least, the contributing factors, to reverse this “beastly” condition. 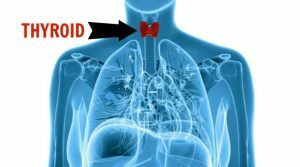 The Thyroid Directly Influences 11 Different Systems in the Body. I had my thyroid scanned and found out that it was not operating at maximum efficiency. So what? I had no idea what to do next. I realised from my research that I could not reverse diabetes 2 without knowing whether each and all the above organs and systems were also operating (or not) at optimum efficiency. Even just one of the above could be the proverbial “weak-link”. What would I do if I had all my systems tested and discovered that most were not “playing the game” with their fellow systems? Is my cortisol balance correct? Do I have a fatty liver which is dumping sugar into the blood? Are my dangerous triglycerides causing me to be insulin resistant? Am I eating enough good fats? And so, the questions continued. For your interest, there are several different types of sugars. Your body most frequently needs and uses glucose. Fructose is found in fruit and lactose is found in milk. When you guzzle a big glass of milk or eat an apple, your body takes the lactose or fructose and converts it to glucose. Once everything is converted to glucose, your body can use it for energy. Starches, like those found in white bread, are sugars stuck together and are converted by your body into glucose. When people say, “blood sugar”, they mean “blood glucose”. The terms can be used interchangeably. Finally, late in 2018, I discovered I was barking up the wrong tree like most others around the world with diabetes 2. The Solution to my Diabetes. The solution lay in the fundamental origin of a cell’s good health – the newly discovered communication and regenerative system within the “battery” itself. This system, I found, restores and regenerates your brain, nervous and immune systems, that will, in turn, influence your thyroid, restoring your hormone imbalance, adrenal dysfunction, gut health, liver, pancreas and slowly all the other bodily system problems. Purely by chance, I met Tiaan Swart and over a cup of coffee at Jackson’s Real Food restaurant, he told me he was in the late stages of developing a new product – cell food. My wife and I became his guinea-pigs and started taking it. My wife’s finger pains cleared up, and my diabetes, sore legs and feet are back to normal. I modified my diet slightly to follow Tiaan’s recommendations – stopping all bread and products made with grains and introducing sauerkraupt (chopped pickled cabbage) before every main meal. He has called this new “food for cells”, Aruca which he claims to fulfil everything I have written about in this article. Forty-five plant extractions were used to synchronise Aruca to supply our cells with the essential foods and their frequencies, to regenerate them back to their original health. Eugenic jambolon, lopacho, Gotu Kola, purpure, Ashwagandha Extract, Eleuthero Extract, MSM, concentrated glycans, Tragacanth Gum Extract, Eugenia Jambolan Extract, Pau d’ Arco Extract, Wheatgrass, Fulvic Acid, Echinacea Extract, Terminalia Chebula, Hawthorn, Icariin Extract, Tribulus Extract, PLUS many more health-enhancing ingredients. The Aruca™ formula is NON-GMO and in addition, is a nutritional glycan-mannose-powerhouse harvested from the Aloe.